Vichy has launched their Normaderm range of skincare products, which is meant to help acne-prone skin (aka my type of skin!). It consists of four products, namely the Normaderm Deep Cleansing Purifying Gel, Normaderm Imperfection Prone Skin Lotion, Normaderm Tri-Active Anti-Imperfection Active Care, and Normaderm Hylauspot, covering all your skincare bases: cleanse, tone, moisturize, and spot-treat. As you can imagine, I was pretty excited to try this range. And after having used it for a few months (because I'm sometimes slow on reviews like that), I have to say I think the range is pretty effective at what it claims to do. In general, I found the entire range to be pleasing to use. In general, the products, sink into skin and absorb fast, and leaves skin feeling clean and dry but not stretched out or dehydrated. The fact that efficacious ingredients like glycolic acid and salicylic acid are included really help two - those two are some of my favourite ingredients ever for my acne-prone, oily skin bits. The range also strikes a good balance, using glycolic and salicylic acid to target acne and oily skin, but yet at the same time having rather moisturizing formulas. And, the packaging is pretty sensible as well - all plastic flip tops and pumps, or squeeze tubes or other form of tubes. You . But now, let's go into each of the products one by one, and you'll see what I think about the individual products! First, let's start with the Normaderm Deep Cleansing Purifying Gel. Face washes tend to be simple products (and indeed, my view is that they don't need to be complicated), but this is a mild face wash with some benefits for blemish-prone skin. 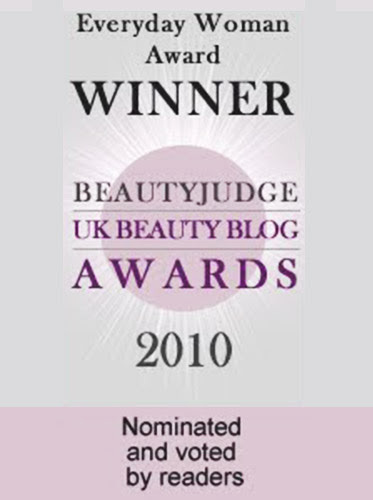 Vichy Normaderm Deep Cleansing Purifying Gel, in a sensible pump bottle. As you might expect from a face wash, there are a few surfactants (the much-maligned Sodium Laureth Sulfate, PEG-8, and Coco Betain). All the chosen surfactants are fairly gentle (Sodium Laureth is often maligned in the same breadth as Sodium Lauryl Sulfate, but it is gentler and is often used as a substitute for the latter. Also, there is actually no proof that either causes cancer - a quick search in PubMed, that omniscient repository of published papers, will put that to rest, so I've no idea why on earth that rumour keeps getting passed around on alarmist sites), while still providing some cleansing for oily skin. I do like the inclusion of glycolic and salicylic acid though - nothing like loosening those dead skin cells and getting rid of that clogged pores while you're washing your face. Vichy Normaderm Deep Cleansing Purifying Gel ingredients: Gentler surfactants, combined with glycolic and salicylic acid. When I used it, I found it to be a foamy face wash that was effective at cleaning my skin and leaving it feeling fresh, but not over-dried or tight like some other face washes I had used in the past. Given that face cleansers are wash-off products that stay on your skin for no more than a few seconds, I generally tend not to nitpick on the formulas, but just pick something that cleans and doesn't make my skin dry out. 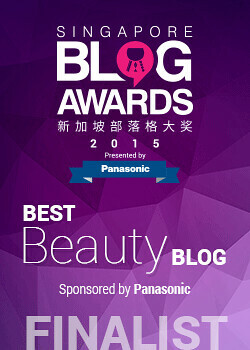 If it has things like glycolic or salicylic acid (or both! ), it's a nice bonus. 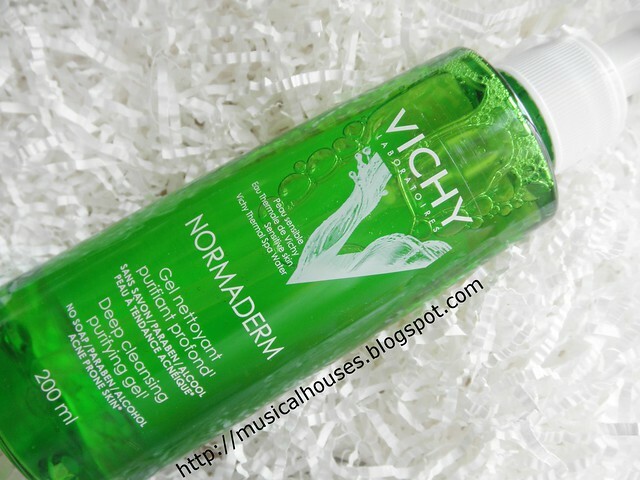 Vichy Normaderm Deep Cleansing Purifying Gel: Cleanses skin without making it feel dry or tight. The second product is the Normaderm Imperfection Prone Skin Lotion. This is a toner, and another one that I thought was quite well-formulated for oily/acne-prone skin. 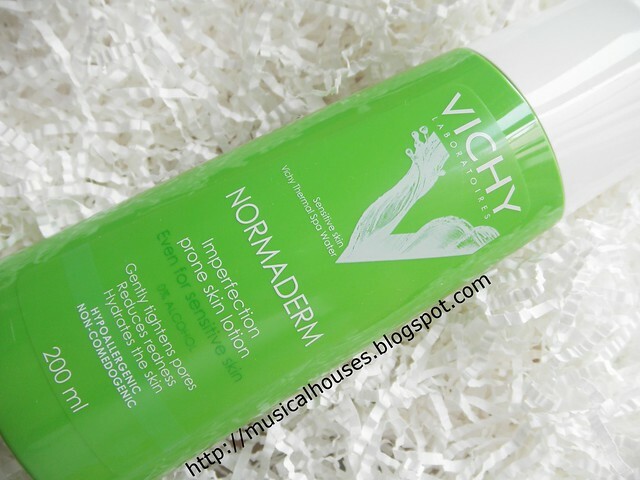 Vichy Normaderm Imperfection Prone Skin Lotion: A good toner for oily and acne-prone skin. When you look at the ingredients, water, you get Betaine (not the same as the surfactant), which serves as an anti-inflammatory (useful in a product for acne-prone skin), and also has a very nice skinfeel with minimal stickiness. Sometimes you see Betaine in hair products too, because it also helps with the retention of water in hair. After that, there is glycerin, a humectant and a good ol' standby, as well as Butylene Glycol, a solvent. 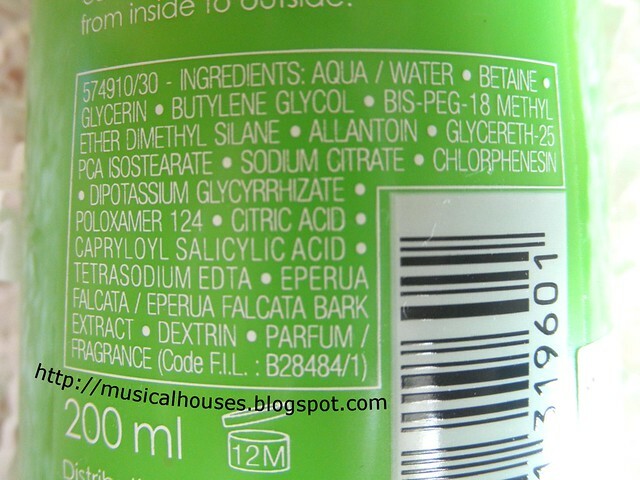 Rounding off the main ingredients in this product are Bis-PEG-18 Methyl Ether Dimethyl Silane, which is an emollient. There is also the inclusion of Capryloyl Salicylic Acid, which is also useful for acne or oily skin. Vichy Normaderm Imperfection Prone Skin Lotion ingredients: A fast, quick-absorbing formula, with moisturizers, anti-inflammatories, and the two acids. When I used this, I found that it left my skin feeling fresh but, once again, not dried out. 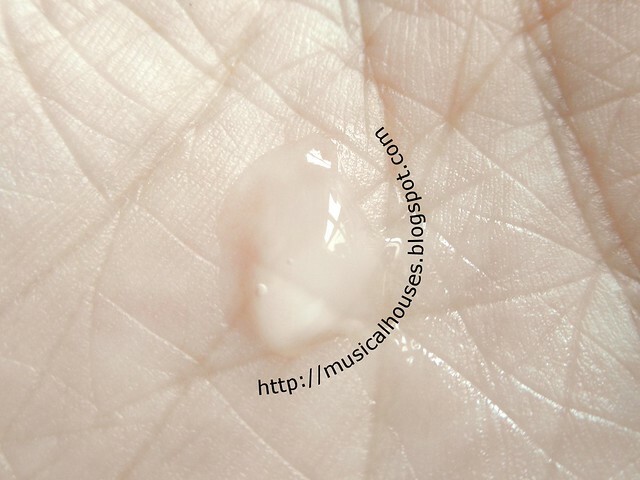 I think the inclusion of the Capryloyl Salicylic Acid also makes this one of my favourite tones - there's some exfoliation going on, but at the same time, your skin is moisturized. Vichy Normaderm Imperfection Prone Skin Lotion: Light, easily absorbed, and fresh feeling. Next, is the Normaderm Tri-Active Anti-Imperfection Active Care. This is a moisturizer that can be used both day and night, but since it's fairly light-feeling, I found it better for day. The product is packaged in a sensitive squeeze tube with a nozzle at the end - no need to get all unhygienic and stick your fingers in a jar! Vichy Normaderm Tri-Active Anti-Imperfection Active Care: A light moisturizer for blemish control. The formula generally consists of humectants like Glycerin, as well as silicones and cross-polymers for a nice skin feel and some emolliency. The main ones in this product are Dimethicone, Phenyl Trimethicone, and Methylsilanol/Silicate Crosspolymer (an opacifying agent). 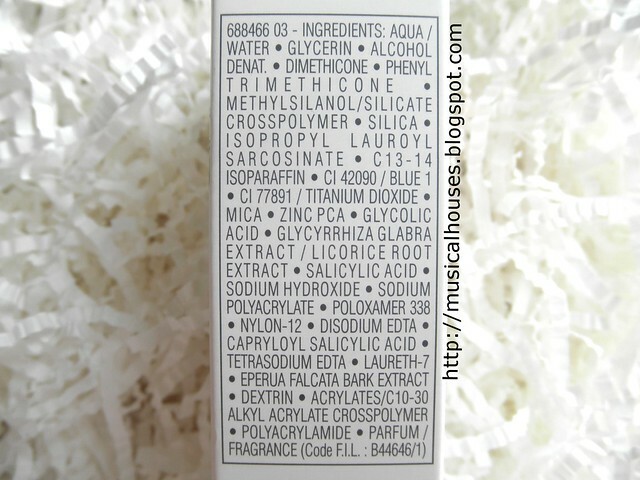 There is also Glycolic Acid and Capryloyl Salicylic Acid. So you get a nice moisturizer that feels smooth and light on your skin, and also has some exfoliating and keratolytic benefits, which is good for those with oily or acne-prone skin. Vichy Normaderm Tri-Active Anti-Imperfection Active Care ingredients: Humectants, silicones for a nice feel, as well as glycolic and salicylic acid. When I used this, I found that it was very fast absorbing, and felt very light on my skin. I think this is really pretty good if you have oily skin, too, as it really doesn't feel "oily" in anyway. It also happens to be quite a nice base under makeup thanks to the silicones in the product, so that is a bonus! 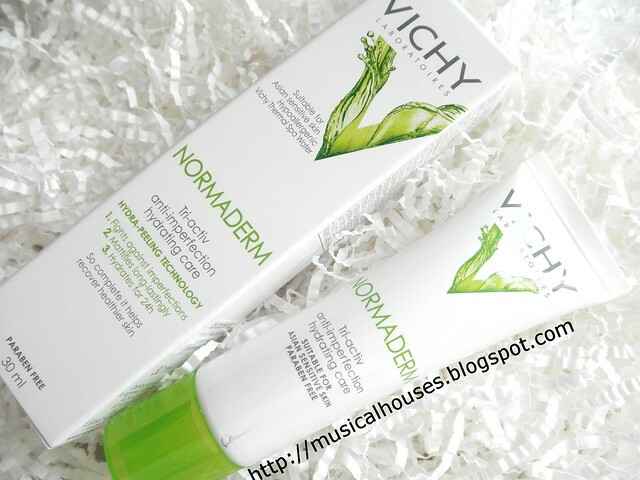 Vichy Normaderm Tri-Active Anti-Imperfection Active Care: Light, easy to use, and works well under makeup, too! Lastly, the Normaderm Hylauspot. This is probably the most popular product in the line, based on my Google autocomplete entries (for some reason when I begin typing "Vichy Normaderm" into Google, it autocompletes to include the word "Hylauspot"). I liked the metal tip applicator - it gives a really cooling sensation when used, and metal generally tends to be less friendly in terms of harbouring bacteria. But of course, if you're concerned, you can wipe down the applicator with rubbing alcohol in between uses. Vichy Normaderm Hylauspot: Hygienic tube and metal-tipped applicator. It has a simple enough base of water, Alcohol Denat (a solvent and also to allow the product to penetrate into the skin), as well as good ol' Glycerin, which is a humectant. Ammonium Polyacryldimethyltauramide/Ammonium Polyacryloyldimethyl Taurate is also included as a thickener (because water, alcohol denat and glycerin would look and feel pretty watery and thin), and then you get Triethanolamine, which adjusts the pH of the product. 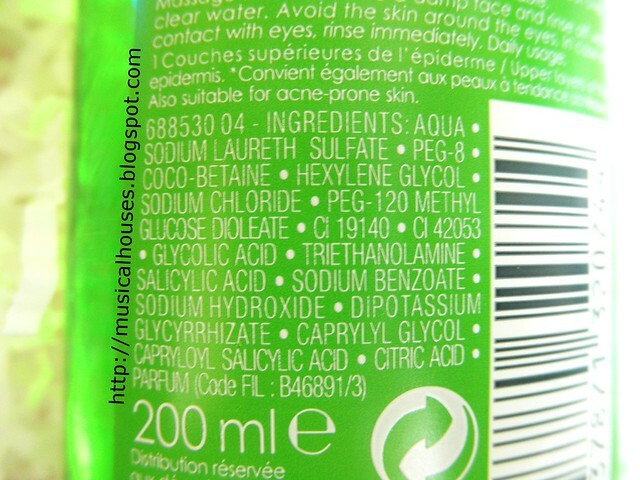 You also get Glycolic Acid and Capryloyl Salicylic Acid to help with those pimples, and as advertised, there is also Sodium Hyaluronate. 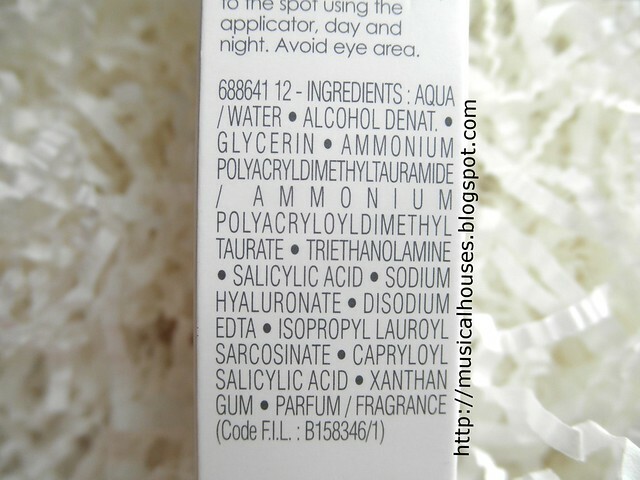 Vichy Normaderm Hylauspot ingredients: Humectants and film-formers, as well as good ol' glycolic and salicylic acid. When I tried the Normaderm Hyaluspot, I definitely found it to be an interesting and novel product for me - and possibly my favourite in the range. It claims to help to form a layer over pimples to protect the pimples and prevent further infection, and it really does, which is pretty cool. When I try it over pimples that are open and bleeding (you know, when your pimples burst, yucks! ), I found that the gel actually helped to stop the bleeding. 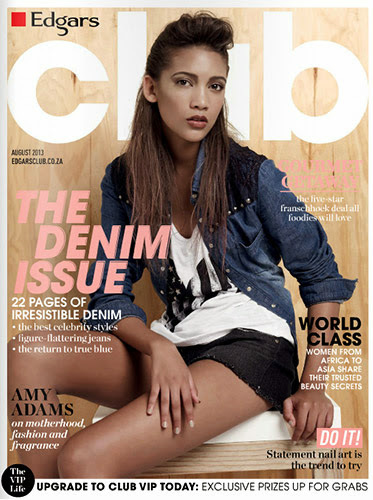 It's as though it formed a thin, clear, gel-layer over the burst pimple that prevents further bleeding. I really like this, because one of the worst thing (to me) about a pimple bursting is the bleeding. It bleeds, so you can't stop touching it, but because you touch it, it bleeds even more, and the cycle goes on, and my pimples never get better. At least the Hylauspot helps to break the pop-bleed-touch cycle midway. I apologize if that entire paragraph sounded gross - please tell me I'm not the only girl with bursting, bleeding pimples? Okay, I'll just stop talking about it now. A word of caution when using this product though - if you're planning to apply makeup over the Normaderm Hyaluspot (say if you're thinking of using this to stop a pimple bleeding and then apply a layer of powder on top so you can go out without your face bleeding from a spot), then you might want to proceed with care - I've found that if I rub too hard, the product tends to ball up and peel off. I suggest dabbing instead of rubbing if you're keen to try applying anything on top of it to prevent the rolling. Vichy Normaderm Hylauspot: Forms a film over your spots, which prevents further contamination (and prevents itchy fingers from touching). Anyway as a formula roundup, I have to say, I really like the inclusion of both glycolic and salicylic acid. Both are hydroxy, but glycolic acid is water soluble (and thus more effective at overall exfoliation, which is why it is often used in facial peels and the like), while salicylic acid is oil-soluble (and better at exfoliating those oil clogs in your skin, which is why it is more commonly found in pimple products). 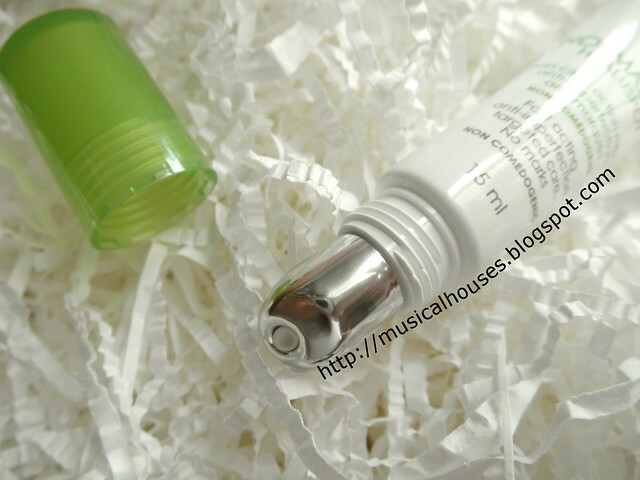 While it seems that on skincare forums and the like people tend to prefer one over the other, I think using both is quite synergistic as well - you do get the best of both worlds here. So, after having used it for a few months, would I recommend it? I would, but it's hard to pinpoint a favourite product. The Hylauspot is definitely a standout, but I also like the other products too, and find myself using the Lotion a lot lately. All four products do work well together, although you don't necessarily have to use them all. The good thing about the Vichy Normaderm line is that every product is formulated differently. I've tried some product ranges where they have both a moisturizer and an essence/serum/lotion/whatever, but when you look at the ingredients they use essentially almost the same ingredients, except that the moisturizer is packed in a jar and the essence is in a dropper bottle, but they insist you need both. Fortunately the formula and the function of each product in the range is different, so if you're wondering whether it's worth the splurge for the entire range, I do think it is, but if you probably just want to get one or two products, the leave-in products (the Active Care or Hylauspot) would be my pick. The Bottom Line: A line of anti-blemish products that has both glycolic and salicylic acid for anti-blemish properties, and also strikes a good balance between moisturizing the skin and reducing spots. 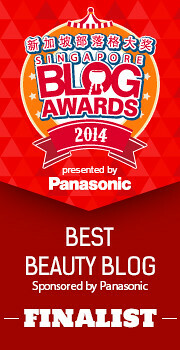 The products in general feel fast-absorbing, light, and non-oily, making it ideal for oily skin. Oh that spot treatment reminded me of one my mum used to have that I used to steal (not very hygienic, in retrospect). It was from Clinique and it did the same clear film effect thingie. It also rubbed off, I remember I liked the feeling of peeling it off.